Join the City of Morgan Hill for a FREE event in honor of Earth Day! Learn about our local environment and ways to get involved to make a difference. Don't miss out! For more information, visit www.morganhill.ca.gov! The City of Milpitas will be hosting an Earth Day Event on Saturday, April 20th from 12-4 pm inside the Milpitas Public Library. 2019 marks Saratoga's 12th year as a designated Tree City USA! Join the City to celebrate Arbor Day and Earth Day at 1:30 p.m. at Gardiner Park, 19085 Portos Drive. Enjoy refreshments, resources, and a tree planting. 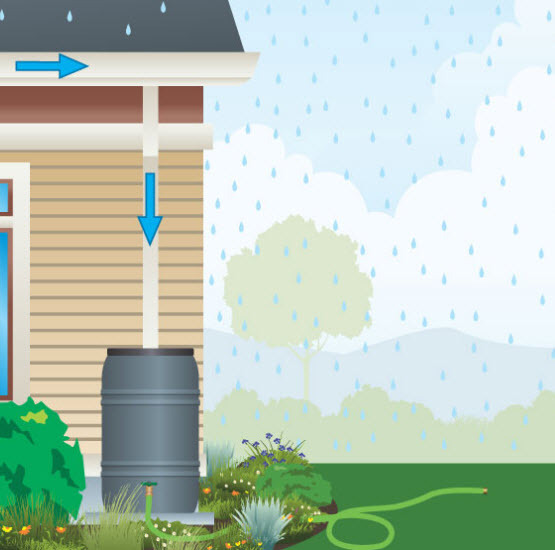 Resolve to Save Your Rainwater! NEW Rebates for Rain Barrels and more! We want you to capture the rain!! The Santa Clara Valley Water District is now offering Rainwater Capture Rebates within its Landscape Rebate Program. Rain gardens, rain barrels, and cisterns are all systems used to keep rainwater onsite for reuse within the landscape and are now available for a rebate. For all rebates under the Landscape Rebate Program, including the Rainwater Capture Rebates, application submission and approval is required before purchasing any new equipment or starting any work. Please visit the Water District’s website for more information or call our Hotline at (408) 630-2554. PLEASE NOTE: SAVE WATER, NOT MOSQUITOES! Do your part to prevent West Nile and Zika virus outbreaks! It’s Spring, and that means it’s time MARCH PLANTNESS! Yes, that’s right, March Plantness – a little California-friendly plant competition! Who will wilt in the heat of competition? Who will come out smelling like a rose? South Bay Green Gardens has put together a 16 plant bracket, where drought-tolerant competitors like California Buckwheat will be tested against formidable opponents like the California Fuchsia, Flannel Bush and Deer Grass (a perennial favorite!). We will be asking you to vote each week on our Facebook page. First, we have Round One: The Sprout Sixteen. Then it narrows again to the E-leaf Eight, then the Final Flora…and finally, the Championship Round. Which of our these lovelies win? Competition starts on Monday, March 25th. Good luck to all! California is the only place in the country that regularly hosts the awe-inspiring sight of thousands of monarch butterflies gathered for winter, and each spring they disperse across California searching for nectar sources and milkweed plants on which to lay their eggs. According to the most recent Xerces Western Monarch Thanksgiving Count, the western monarch butterfly population is at an all-time low. Only 28,429 butterflies were counted in 2018, down a whopping 99.4% from the 1980’s. 1. Restore breeding and migratory habitat in California – Western monarch’s need Californians to plant nectar species, especially flowers that bloom in the early spring (February–April) to provide critical nectaring resources. 2. Protect monarchs and their habitat from pesticides - Western monarch’s need Californians to halt cosmetic use of pesticides. Seek out non-chemical options to prevent and manage pests in your garden and landscaping. The tips and resources provided in the January 8, 2019 blog post on “the benefits of bugs” are relevant to monarchs too. And there will soon be a series of webinars by the Xerces Society with more information on how you can help western monarchs. Spring Forward this weekend - and Take a Class!! What better way to get used to the time change this weekend than doing a little gardening? And if you’re ready to be inspired or learn something new, why not try out one of the many classes available this week (or this spring for that matter)? A class on creating outdoor succulent designs in San Jose. All of the details and information can be found here. Compost provides nutrients that plants need to grow and to thrive, and provides them in a form that is easily available for plants to absorb. In addition to the main three nutrients -nitrogen, phosphorous, and potassium, compost also provides important micronutrients such as manganese, copper, iron, and zinc. Want to eliminate the need for pesticides in your garden? Healthy plants are less susceptible to disease and pests, and compost can make a difference in helping to ensure healthy plants. Compost builds soil structure unlike soils that are damaged by relying on synthetic fertilizers. The good soil structure that compost provides allows air and water circulation that keeps plants healthy. Good soil structure provides habitat for beneficial bacteria, fungi and earthworms that all work to provide nutrients which plants need. Good soil structure also provides habitat for beneficial insect predators that keep plant pests under control. Compost certainly deserves to be called Black Gold! Happy Gardening!! For more information, please see our Composting Page. By Les Kishler, former Agroecology, Chemistry, Biology teacher: Los Gatos-Saratoga Union High School District. Currently supervisor of the Los Gatos Community Garden. If you are looking for a wonderful, family-friendly event, look no further than the Great Race for Saving Water in Palo Alto on Saturday, April 13th. This fun run and walk raises awareness about water resources, conservation, a healthy environment and healthy communities. Register today, and don't miss your chance to chase the running toilet! After the race, join us for a free festival with electric vehicle ride & drive, live music, nature activities, arts & crafts, raffle, zoo animals, outdoor games, environmental and public safety resources...and much more! The race begins at 9am and festival activities continue to 1pm. A special ribbon-cutting ceremony for the San Francisquito Creek Bay to 101 project will be held before the race at 8:45am. Have you heard about the recent reports of the decline in monarch butterflies? Do you wonder how you can help? You are in luck - there are two upcoming workshops in San Jose: one on March 16 and one on March 23. The workshops are presented by Santa Clara County Master Gardener Rebecca Schoenberger. In the workshop, you will learn about the monarch butterflies life cycle, habitat, and migration patterns. We'll also discuss why monarchs are in danger, and what you can do to help conservation efforts. We'll review several specific plants you can have in your garden to create a monarch habitat at your home. Our Events Page has a number of other great landscaping classes for you to explore. There’s just no getting around it - insects are in trouble. According to a recent New York Times article, insect populations around the globe are rapidly dropping. 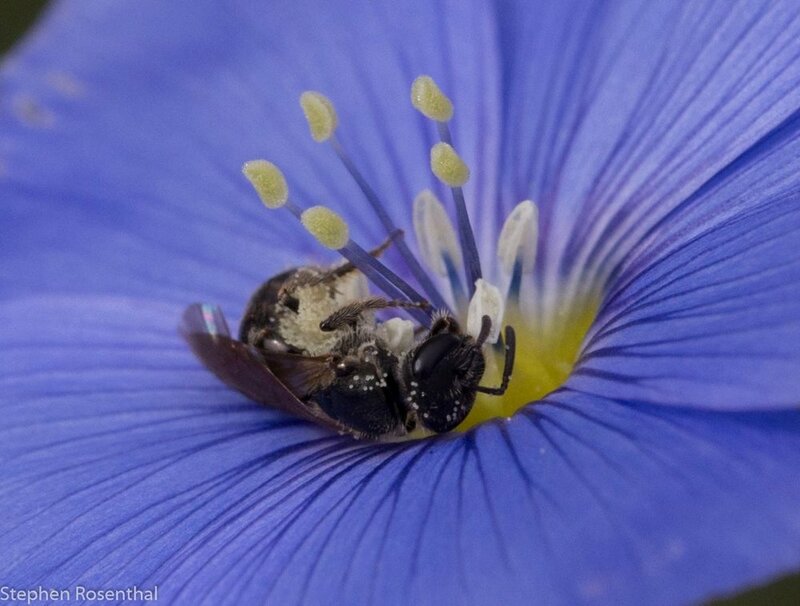 Insects are important for a number of reasons but one of the biggest for humans is that they help pollinate our crops. Replace your lawn with a water-efficient, pollinator-friendly garden - and get a rebate!! Check out this free pollinator-friendly garden design. Use smart pest management in your garden. Take your old insecticide to a free household hazardous waste drop-off and use smart pest management methods instead. Create a happy environment for beneficial insects. Use plants that they love, such as Yarrow, lavender, and California poppies. These are beautiful and will be a place that pollinators will love. For all rebates under the Landscape Rebate Program, including the Rainwater Capture Rebates, application submittal and approval is required before purchasing any new equipment or starting any work. Please visit the Water District’s website for more information or call our Hotline at (408) 630-2554.